Innocenti was founded by Ferdinando Innocenti in 1920, and it became a success story right after WWII, when the funky Lambretta scooters were introduced. From the sixties on, the company started building BMC, then British Leyland cars under licence. Seven years after the Innocenti Mini was introduced wrapped in a Bertone body, the British took over the whole business, only to sell it again after going bust to Alejandro de Tomaso in 1975. The new company emerging from this holy transaction was named Nuova Innocenti. The next year, the very nuova Innocenti Mini de Tomaso went on sale, featuring a plastic bumper, fog lamps, a hood scoop, wheelarch extensions to accommodate the alloy wheels, and most importantly: 71 horsepower. It wasn't bad for a car weighting only 1,610 lb. Since the engine-deal with the British ended in 1982, Innocenti switched to Japanese power coming from Daihatsu. Since the new one litre unit was a three-cylinder, a small RHB5 turbocharger came to the rescue. While Daihatsu kept the 12 valve version for their Charade GTti, the 6 valve over head cam 993cc was still potent with its 73 horses, and around 72 foot pounds of torque. 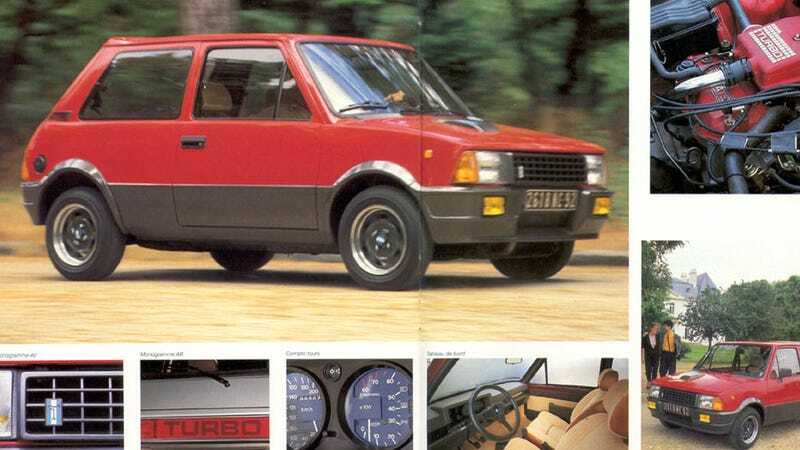 It also came with a proper five speed manual, a sporty leather steering wheel, and a massive turbo label at the rear, letting everybody know that you are sitting in an Innocenti that can do 101 mph. At the red light, it could also surprise anybody who needed more than 11 seconds to reach sixty. If you happen to own one, here is how you can fix it. It will certainly come in handy at some point. Unfortunately, this remarkably foxy piece of badge-engineering was the last respectable thing coming out of the Innocenti factory in Milan. The Maserati Biturbo and the terrible Chrysler TC were also finished here, while at the end, Innocenti tried to survive by selling Brazilian made Fiat Unos back to the Italians. When that didn't work out, they tried to do the same with a Yugo Koral. Fiat stepped in in 1990, only to put a stop to the shameful activities in 1996.